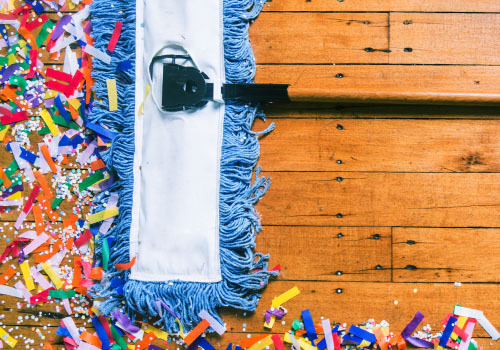 Party cleaning is one of the most sluggish and monotonous activity. You often require elbow grease to rub all those stains and dirt from your carpet or upholstery. But don’t worry. The water is still under the bridge. With our special equipment we can clean every home. Our before and after party cleaners are perfectly trained to provide incomparable cleaning every time. DEV CLEANERS professionally work with you to make sure you receive your preferred before or after party cleaning schedule. When you hire our cleaning services, you’ll receive a customized house cleaning checklist that our house cleaning staff follow closely. We spend reasonable time in cleaning your house. So be relax and have a brewing coffee! Hosting a large party? But burden with cleaning and arranging? Don’t get stress out. Leave the work to us. We shall get your home party ready from the front door to the right back door. Your kitchen will sparkle inside and out as well as your bathrooms will be flawless. So you can call on us to suffice you sustainable cleaning. We shall even help you tidy up and put things back in order after a big renovation project. You don’t have even to be a regular customer to hire us for your special events. We are pleased to offer temporary services for these special events. Crusty floors and dusty carpets receive an undigested comments. Be it before party or after party, floors must be kept clean. It reflects your interest towards cleanliness. Our professional cleaners run over all carpeted and non-carpeted areas with a vacuum cleaner several times. For all tiled, laminated and wooden floors our cleaning crew uses mops and ensures that after washing, the floored areas are dry afterwards to eliminate the risk of water stains.